Jürgen Klopp has no doubt his team of 'proper warriors' are prepared for the 15 Premier League battles still ahead of them this season. Liverpool emerged from a serious test at Anfield on Saturday with a 4-3 victory against Crystal Palace that maintained their four-point lead over Manchester City at the top of the table. 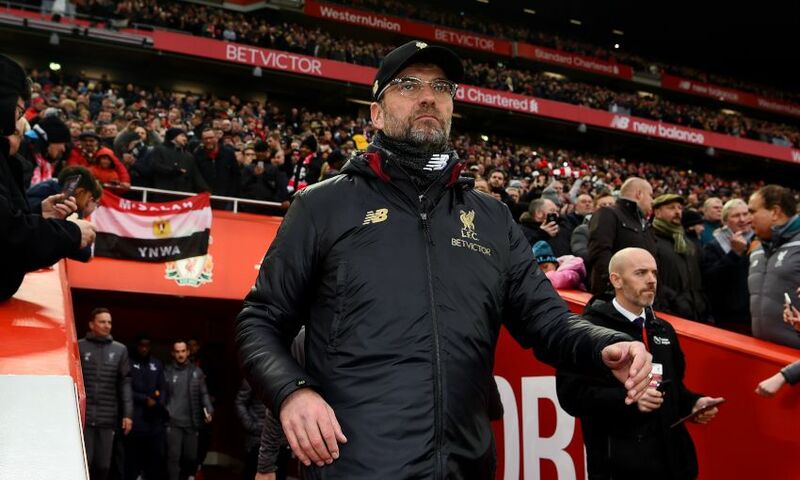 The win established a new club record for Klopp’s men – no Reds side had ever before registered a total of 60 points at the 23-game mark of a campaign. They did so with a resilient performance; having trailed 1-0 at the interval, the hosts stormed back to overturn the deficit, responded again when Palace levelled and held on despite a 95th-minute goal for the visitors. That strength of spirit did not surprise the manager, however. In fact, he believes Liverpool’s determination is at the heart of their outstanding development. “I would say that’s what we had first, before we started playing brilliant football,” he told Liverpoolfc.com shortly after the final whistle at Anfield. “If you would have seen Millie sitting in the dressing room, completely frustrated obviously because of the [red] card but both knees bleeding – where can you get that from on that fantastic pitch? James Milner was deployed at right-back, with Trent Alexander-Arnold the latest defender to sustain an injury, but will be suspended for the Reds’ next match due to his late red card on Saturday. Liverpool are not in action again until January 30, however, and Klopp hopes the gap between games can help increase his options for the visit of Leicester City. “Now we need the time to recover obviously, because we had a few injuries,” said the boss. Liverpool’s past two matches have been settled by a one-goal margin, with the drama against Palace following on from a slender win at Brighton and Hove Albion. Klopp expects similar experiences to come in the weeks and months ahead but is certain his players have the appropriate attitude to deal with such challenges. Asked if the intensity of the Reds’ fixtures – and the importance attached to them – can lead to mental fatigue, he said: “That’s December. January is not that much. “That’s not the problem; the boys could play from [the mind] now pretty much every second day. They are really in it. “We had to come through the centre-half situation and that somehow worked out; then the full-back situation worked out somehow so far. That’s intense. In midfield, Gini is not in so you cannot make the changes you want. “We need to make sure we are ready. If you remember the first game against Crystal Palace – wow, what a difficult game; Brighton at home, a very difficult game. We had these in the first part of the season as well.